Last year, I stumbled upon the Matt Royal series by author H. Terrell Griffin. The novels follow Matt Royal, a middle-aged lawyer who, fed up with the state of the legal system, retired to the small island of Longboat Key, Florida. But small town life didn't stop Royal from finding excitement. Over the course of six novels, Matt found himself directly involved in conspiracies that rocked his hometown. Through his friendship with Bill Lester, Longboat Key's chief of police, and with the help of his drinking buddy Logan, and his friend Jock, who conveniently works for a top secret, high ranking government agency, Matt became a kind of extension of the local law enforcement. Things seemed to change when J.D. Duncan, a female detective from Miami, joined the Longboat Key force. Her addition, and insistent moral code, caused Matt to not only re-evaluate his actions, but to discover emotions he thought he would never feel again. 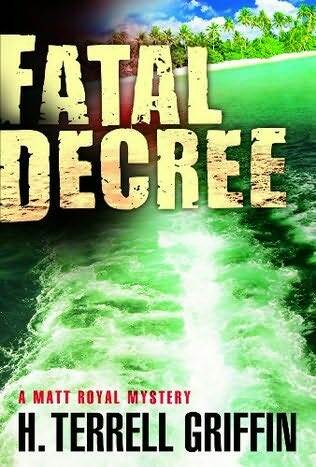 In Fatal Decree, the latest novel to feature Royal, we find the characters facing the biggest mystery they have ever faced. When the body of a local woman is discovered floating in the bay, Matt is immediately called by J.D. It turns out, the body has a whale tail earring in her ear, and the initials KKK carved into the back of her neck. Even more terrifying, this is the signature of of a serial killer from Miami who J.D. investigated, and who hasn't been active for years. Now Matt must help solve the case before more islanders or killed. He hates to imagine the worst, but he is scared that the killer may target J.D. next. I was completely invested in this series the moment I began reading. Unlike other series authors, Griffin has managed to maintain his standards of both quality and content. Seven books in, he still manages to explore unique cases and take his characters into different emotional territory. It was really nice to see Matt and J.D. 's budding relationship come to a head, especially because it didn't play out in the predictable way I feared it was going to. Griffin love of Florida and the people who inhabit it is made obvious by his detailed descriptions of settings and the inclusion of small town characters that give the sometimes outlandish story a much needed dose of reality. With Fatal Decree, Griffin proves that he is very much at the top of his game. Any fan of fast paced and original mysteries is sure to enjoy this novel. If first impressions truly make or break your opinion, then you may be turned off by Jenny Milchman's debut novel, Cover of Snow. As I began reading, I was attracted to the main premise. The problem, however, lied in the writing itself. It seemed that Milchman felt it necessary to include detailed descriptions, similes and analogies in nearly every sentence. Details can be helpful, but too much of a good thing can be overkill. Add to this the cold, seemingly two-dimensional characters, and you can begin to understand why this novel opened with a bitter taste. To use one of the author's devices, reading the opening of the novel was like fining a bone in the first course of a meal. Despite this, the premise of the story is very intriguing. Nora Hamilton wakes up to an empty bed and immediately knows that something is wrong. Her husband is a police officer in their small town, and always follows a morning routine. When she doesn't hear the shower running, and notices that she overslept, she is certain something terrible has happened. Her world comes crashing down when she discovers her husband hanging from a light fixture. With no note left, and no actions that would have indicated her husband's willingness to take his own life, Nora struggles to find answers. As she begins to dig into the last weeks of her husbands life, she soon realizes how little she really knew of the man. Even worse, he seems to have been part of a larger conspiracy that dates back over twenty-five years. Nora soon finds herself in a race to reveal the truth behind her husband's death before those responsible silence her as well. The opening of this novel just didn't work for me. Writing style aside, I felt zero sympathy for Nora, whose husband had just committed suicide. Instead of being the sensitive widow that I expected from the situation, Nora came off as a callous, unfeeling woman who, despite the efforts of the author to convince me otherwise, was emotionally unaffected by her husbands death. Therefore, when she decided to find reasoning behind the suicide, I didn't really care to know how it occurred. Fortunately, there is a silver lining of promise to this novel. After the excruciating first third, Milchman begins to take a much more direct approach to her writing, giving this thriller, the pace that it desperately needs. As Nora digs deeper into her husband's death, we are given the suspense, thrills, and intrigue that the excellent premise warrants. The ending, while a bit preposterous, really satisfied, and I was pleased that I continued to read the entire novel. Of course, the latter half of the book still contained a few cringe worthy descriptions, but the action and suspense had picked up to a level that made me disregard the author's shortcomings. While Cover of Snow is no masterpiece, it does provide enough intrigue to serve as an entertaining afternoon read. 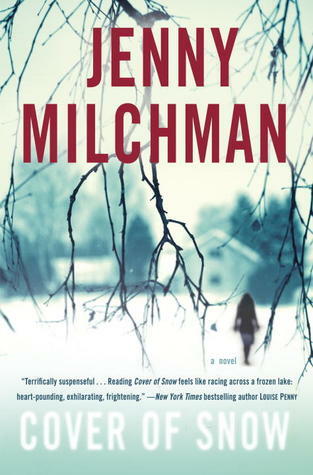 Author Jenny Milchman still has some growing to do, but I'm interested in seeing what she comes up with next. For more information, visit the authors website, Amazon, and GoodReads. There is no denying, Suzanne Collins trilogy, beginning with The Hunger Games, has become a cultural phenomenon. Growing up, I can remember the excitement I felt, waiting for the latest Harry Potter novel or movie to be released. Today, with the Twilight series, Hunger Games, the Millennium Trilogy, even Fifty Shades of Grey, it seems like every series is advertised as the next big phenomenon. 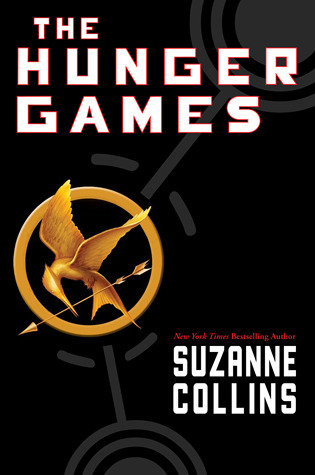 I was hesitant to dive into The Hunger Games, but when a friend provided me with a copy, I decided to give it a shot. The novel takes place in the nation of Panem. Basically, North America has been divided into 12 districts, each serving a specific economic purpose. Each year, in commemoration of the revolution and probably more in an attempt to remind the citizens of the leaders' power, each district is required to send one boy and one girl to participate in a televised battle to the death known as The Hunger Games. Sixteen-year-old Katniss Everdeen, a skilled hunter from the coal mining district 12, finds herself thrust into these games when she volunteers to enter in place of her younger sister. She will have to face career tribute, people who have specifically trained to compete in the games, so she is almost certain the battles will result in her death. Her hunting skills come in handy, however, and with the guidance of Haymitch, a drunken winner of a previous games, she soon becomes a serious contender. But survival isn't easy. To win, she is forced to make life or death decisions, face taking the lives of other, and risk betraying relationships. I was really entertained by this novel. The opening, where much of the backstory and preparation take place, was a bit slow. That being said, the story kicks into an unputdownable gear as the games actually begin. Like any good reality television program, I found myself sucked into the action as it was presented. I did feel that the characters were not as deeply realized as they could have been, but as the first novel in a trilogy, I expect they become more layered in later installments. While The Hunger Games is by no means perfect, it does successfully entertain while still providing clever commentary on social and cultural conventions. The book opens with a short biography of Bernstein. In this section, we are told about his first encounter with a piano, his appointment as conductor of the New York Philharmonic, and his rise as a world renowned musician. The interview itself is only about 165 pages, but is packed with overflowing emotional and informational content. After completing this interview, it is apparent that Bernstein lived his life by completely giving himself to everything he did. 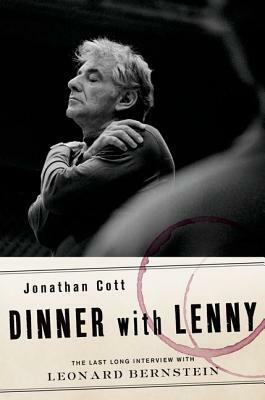 The personalities of both Bernstein and Cott make this a quick and insightful read that is accessible to anyone who chooses to read it. For more information, visit the publisher's website, Amazon, and Good Reads.